With holiday parties and New Years Eve almost here, why wait for the disco ball to come to you? 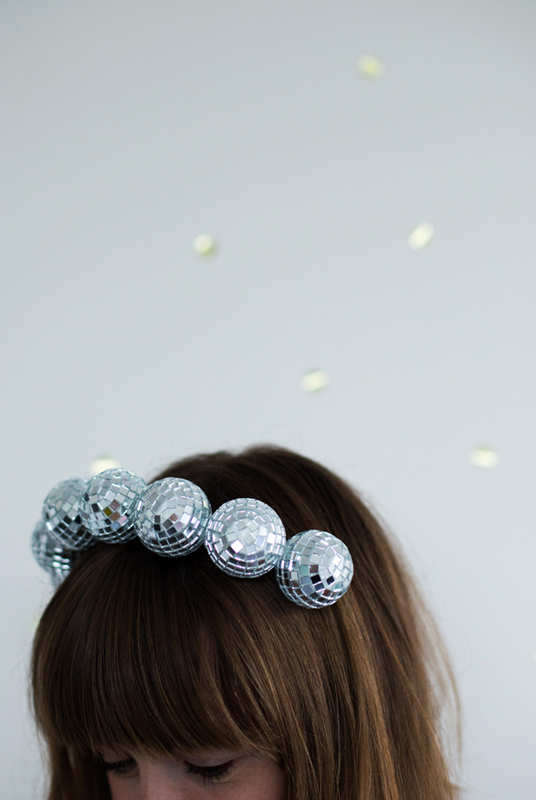 With this disco ball headband you can be one the one bringing the sparkle to the party! Wear it and watch the room light up when you walk in. Even if bling and dazzle are not your normal attire – what a fun time of the year to add it into your party style. 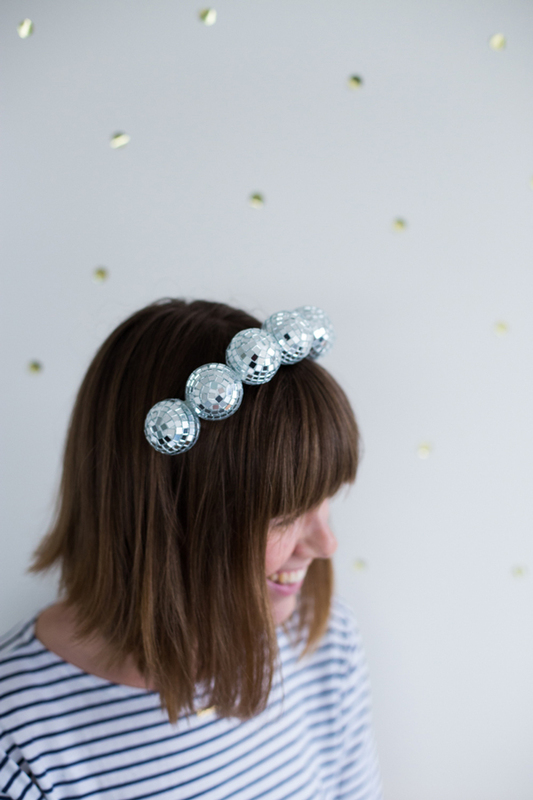 The headband is a perfect accessory for New Years eve – to make it you will need 4cm disco ball ornaments with a polystyrene base (they have these everywhere this year! ), and a plastic headband. Remove the clasps and strings from the disco ball ornaments, they should come out easily by pulling gently. If not, slide a teaspoon under the edge and slowly pry them out. To make a clean space to affix to the headband, pick off the surrounding mirror tiles. There will be a small hole in the polystyrene where you removed the clasp, carefully fill this hole with hot glue. 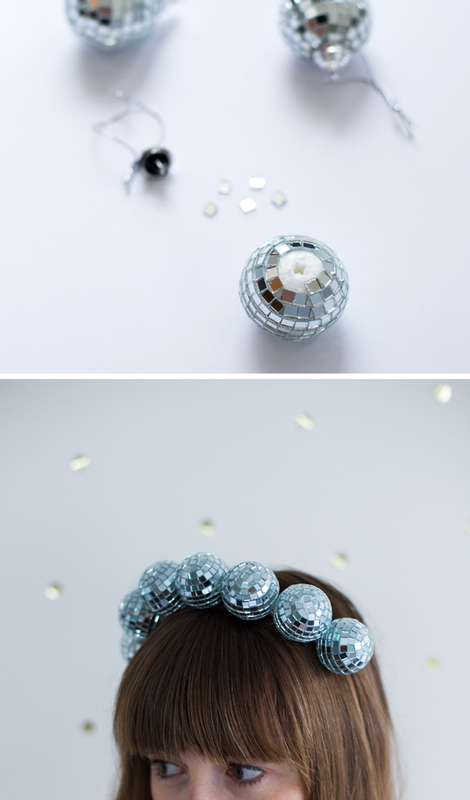 Once dry, fix the disco balls to the head band using hot glue, and hold in place until firmly stuck. Stick the first ball in the middle of the headband and work outwards to keep it symmetrical. 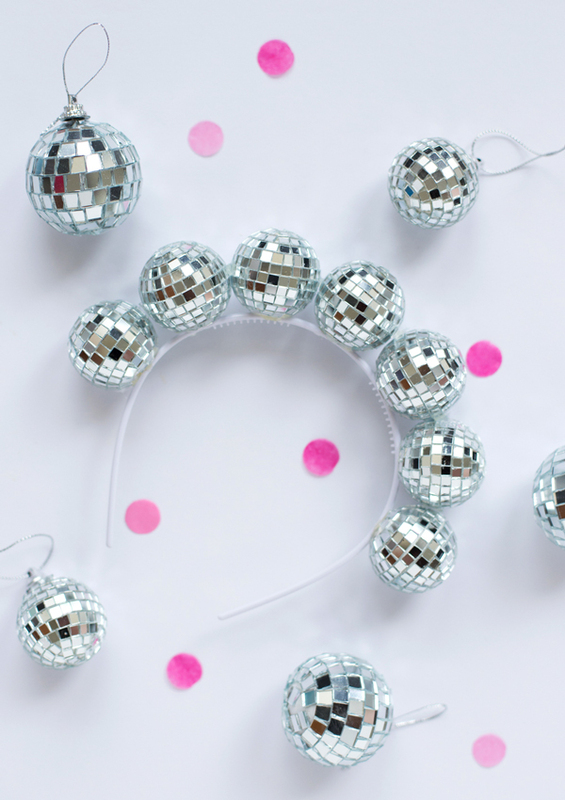 A small drop of glue between each disco ball will stick them to each other, and make the headband more stable for your midnight celebrations. When the whole thing is completely dry, snip off any excess glue strands and it is ready to wear. This is the best headband I have ever seen! Okay seriously! This is ah-mazing! Love this like mad! Thanks for sharing! I made these with larger disco balls. 4 per Headband. All my girlfriends loved it and wanted one for New Years. I had picked only 2 packs of the clear balls. When I returned to store for more disco balls all clear we’re sold out so I picked up purple and turquoise. Combined colors and they were awesome. The Girls were a hit at the New Years Party! What a blast in Maryland!!! 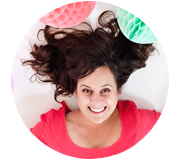 I Love Disco Balls…they just make me smile! A lot of sparkle without the mess glittler creates. I am a daycare teacher and I made a pair for myself and have worn it to work many times for the pat couple of years my kiddos love it.